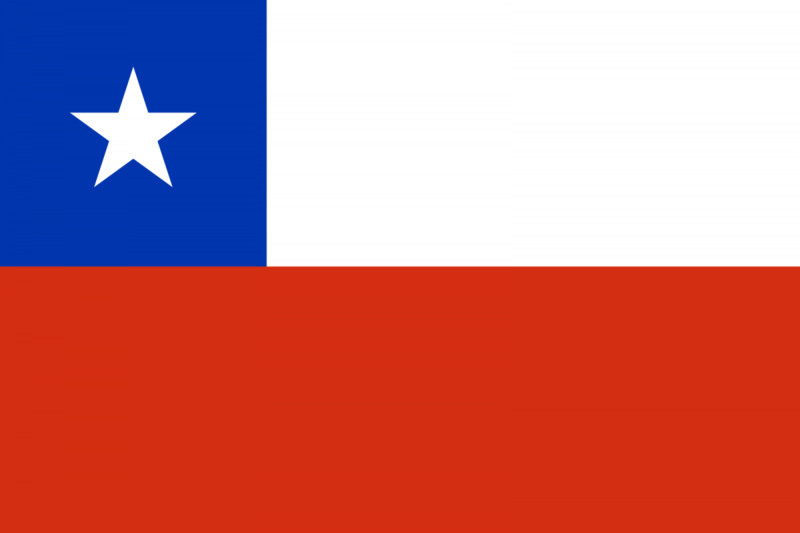 The Chilean Government has launched its second NAP for a period of four years, 2015-2018, which builds on Chile’s first NAP. This new version of the NAP includes the most recent United Nations recommendations on Women, Peace and Security (WPS) and the proposals from different civil society organisations. In comparison to the previous NAP, this NAP has clearer indicators to monitor and assess if goals are reached. NAPs’ main objectives are based on the four pillars of the WPS Agenda and seek to incorporate a gender perspective across all activities, promote women’s meaningful participation in peace negotiations, protect the wellbeing of women and girls and increase women’s access to recovery aid based on specific needs. Chile does not have a recent history of conflict, so this NAP is focused on national efforts to increase the roles of women in decision-making positions related to conflict prevention and overall mainstream gender. Chile, however, is an active contributor to the United Nations’ Peacekeeping Missions, including in Haiti (MINIJUSTH), Central African Republic (MINUSCA), Cyprus (UNFICYP) and Colombia (UNVMC). Chile’s 2015-2018 NAP, unlike the earlier NAP, includes indicators and a system that verifies and controls the implementation of each objective under a modern concept of government management and monitoring. For the budget, each coordinating institution is required to include in its annual budget, an item destined to the financing of the activities that correspond to them according to the objectives of the NAP. The role of civil society organisations in the development of the NAP is unclear. The NAP also does not address disarmament issues, or connect the proliferation of weapons with women's insecurity. WILPF International does not have a country section in Chile and therefore was not involved in the development process of Chile’s NAP. Certain non-governmental institutions were included in the development of the NAP such as the National Institute for Human Rights, the Center for Human Rights (University of Chile) and the Regional Center for Human Rights. The updated NAP also claims to incorporate CSO recommendations; however, it is not explicitly mentioned which recommendations have been acted upon and which CSOs have submitted these recommendations. Chile's NAP does not outline any CSO involvement in the implementation phase. Unlike the previous NAP, this NAP specifies the roles of CSO in the monitoring and evaluation of certain objectives related to the involvement of civil society. For example, for the objective “promoting the inclusion of a gender perspective in all activities related to the construction, maintenance and consolidation of peace”, civil society organisations along with the Ministry of Defense, Ministry of Women and Gender Equity and the Ministry of Foreign affairs will be responsible for monitoring and evaluating the development and dissemination of standards of conduct to prevent the violation of the rights of women and girls in the development of peace operations. The NAP was developed mainly by the Ministry of Foreign Relations, Ministry of National Defense, and the Ministry of Women and Gender Equity. Other actors were involved such as the Ministry of Health, Ministry of Interior, the National Academy of Political and Strategic Studies, the Joint Center for Peace Operations of Chile. For the implementation of the NAP, the Ministry of Foreign Relations, Ministry of National Defense, the Ministry of Women and Gender Equity formed part of the implementation of the NAP. The NAP will be monitored and evaluated annually by an Inter Ministerial committee made up of representatives of the Ministry of Defense, Ministry of Foreign Affairs and the Ministry of Women and Gender Equity. The main objectives of this second NAP is to implement four pillars of the WPS Agenda: prevention, participation, protection, relief and recovery. 1. Prevention consists of incorporating a gender perspective in all activities and strategies aimed at preventing conflict and maintaining peace. This theme also focuses on the creation of mechanisms and effective institutions that will ensure a gender perspective in any efforts to prevent violence against women and girls. 2. Participation consists of promoting and supporting the meaningful participation of women in all parts of peace processes and ensuring their representation in all levels of decision-making related to prevention and ending of conflict. It also includes strengthening the relationships between national and international organisations of women’s rights defenders. 3. Protection focuses on strengthening and amplifying the measures taken to guarantee security, physical and mental integrity, sexual and reproductive health, well being, economic autonomy and the dignity of women and girls. This aims to respect and guarantee the full exercise of the human rights of women and girls, while incorporating a gender perspective in the institutions that play a role in peace, conflict and post-conflict operations. 4. Relief and recovery pertains to the promotion of equal access for women to mechanisms and services for the distribution of aid, particularly those related to the specific needs of women and girls in all recovery efforts, such as during the transition of justice. - Organise and hold workshops and/or seminars for public officials which provide for the dissemination of international instruments related to women, peace and security. The second NAP has been implemented for a period of four years 2015-2018. Each coordinating institution must include in its annual budget an item destined to the financing of the activities that correspond to them according to the objectives of this NAP. Likewise, it is recommended to consider the aforementioned item to the participating institutions. Lastly, design and implement an Observatory of Resolution 1325 of the Security Council of the United Nations, which should start its functions within one year from the implementation of this Action Plan with members of civil society, whose objective will be to publicise the progress in the implementation of this second Action Plan. There is no mention of disarmament in the updated NAP.